The Five Patch Frame quilt block can be used just as shown in the sample block and quilts illustrated, or as the name suggests, you can use the outside patches to frame something of interest in the centre of the block. You could use a second, smaller quilt block, a motif or floral pattern or ... this would be a wonderful choice to place a photograph on fabric in the centre, as a memory quilt for a special occasion. 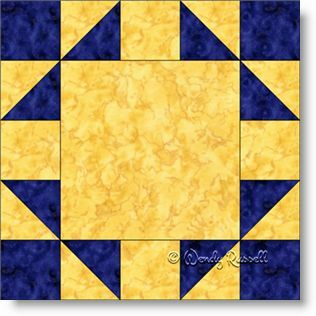 There is no end to what you can do with this quilt block. Even though the block is indeed a five patch (made on a 5 x 5 grid), it is constructed as an uneven nine patch. I have also written the instructions to include larger blocks as well as smaller blocks. So, let the creativity begin!